SOUTHINGTON - Southington Chamber of Commerce Executive Director Taylor Crofton said the town’s business economy is strong, with many new developments in recent months. Crofton said Southington remains attractive to a variety of businesses. The town is centrally located, known for its good schools and easy to get from one place to another within. She said taxes are on par with medium-sized communities. Crofton hinted that there may be another microbrewery coming to Center Street in the near future. 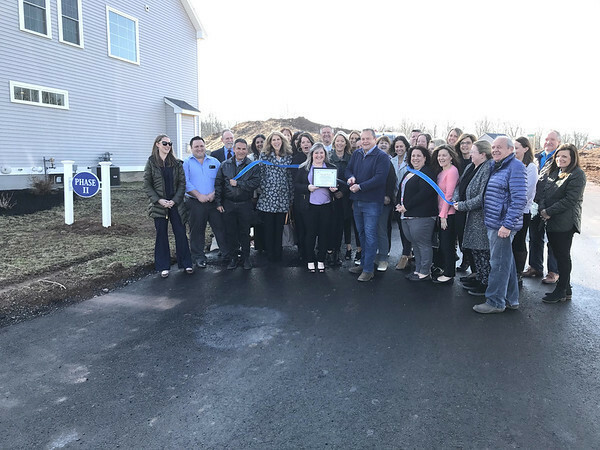 As for development, Southington has seen HillCrest Village expand to add 55 new lots as its second phase of construction. Crofton said these modern homes will have a positive impact on the economy. A ribbon cutting was held April 3 with the Chamber. Juniper Design Group, of Brooklyn, has also expressed interest in taking over the former Florian Tools location at 157 Water St. and opening up a lighting business. Courtyard by Marriott, located at 1081 West St., opened in late October and will have a ribbon cutting in May. AAA has recently constructed a large center at 755 Queen St., relocating several employees from its former location in Plainville after a pipe burst in January 2018. “This location is like a main hub – one of the only locations of its size in the state,” said Crofton. John Senese, developer of the new AAA site, also brought Chick-fil-A, Aldi and Chipotle to town. While some businesses have left recently, others have announced that they will be relocating to town. Crofton said Rice Thai To Go, a Thai takeout restaurant, closed on Main Street last Summer with little notice. VNam Kitchen, a Vietnamese Restaurant, also closed recently in Downtown Plantsville. However, Longhorn Steakhouse plans to be breaking ground on a new location in town next month according to Joe Moruzzi, who owns the pad site on 200 Executive Boulevard near West Street. He said he has been working with the casual dining restaurant for about a year and they are currently wrapping up the permitting process. According to Crofton, West Street has seen an increased interest for development in general. However, some residents are displeased about that. Crofton said many business owners are also concerned about potential tax hikes coming out of Hartford that could impact them. For the moment, she said, they are in a “holding pattern” as they watch political developments. However, on a positive note, Crofton said many landlords are taking active steps to fill vacant buildings. Another of the town’s strengths, Crofton noted, is the strong network that business owners have developed with each other – working toward their mutual success. Posted in The Bristol Press, Southington Herald on Wednesday, 10 April 2019 18:33. Updated: Wednesday, 10 April 2019 18:36.